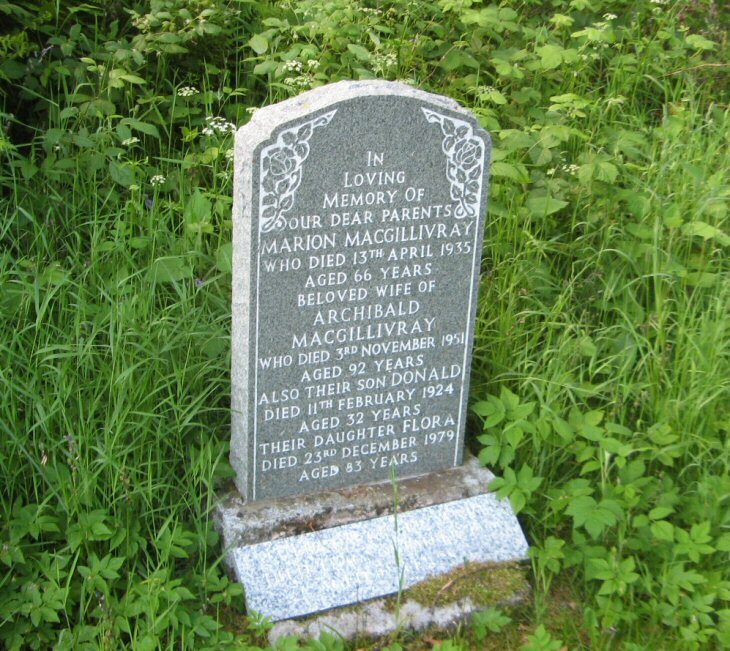 Skye Gravestones | Marion & Archibald Macgillivray, Donald & Flora. Marion & Archibald Macgillivray, Donald & Flora. In/loving/memory of/our dear parents/MARION MACGILLIVRAY/who died 13th April 1935/aged 66 years/beloved wife of/ARCHIBALD/MACGILLIVRAY/who died 3rd November 1951/aged 92 years/also their son DONALD/died 11th February 1924/aged 32 years/their daughter FLORA/died 23rd December 1979/aged 83 years.